Yet Untitled by Resa -- #10! Yes. It is ... almost ... like that. Most of the items listed above do exist. 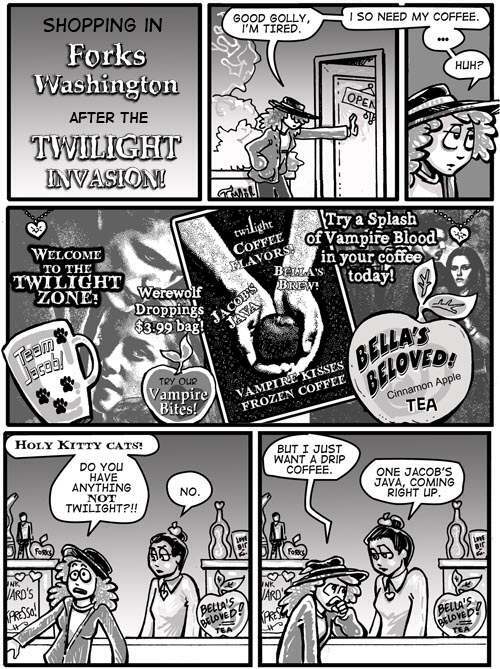 Except for Bella's Beloved Apple Cinnamon Tea, and Vampire Kisses Iced Coffee -- which, com'on, should'a been obvious spin offs. AND -- NEXT TOON Sept 1st.